Are you looking for a special treat for your family? 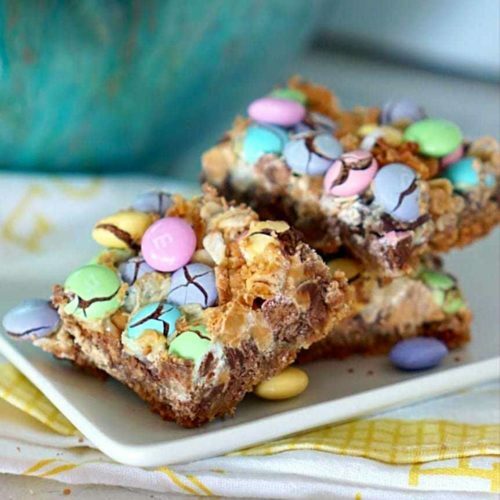 These M&M Chocolate Oat Bars are just for you! These bars are sweet, gooey, and delicious. I love to make simple holidays treats. 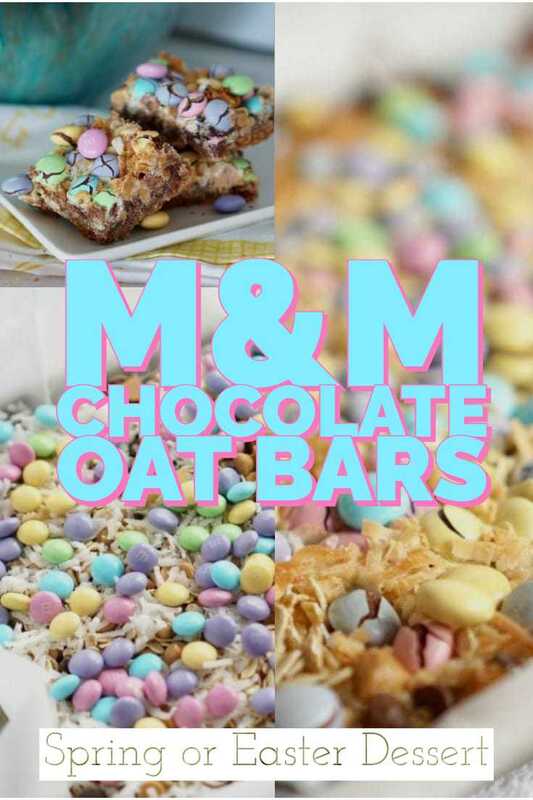 These M&M Chocolate Oat Bars let you have the best of both worlds. The holidays are often so busy and frantic that there’s not much time for complicated treats and food. However, that doesn’t mean that we want them to be any less exceptional. 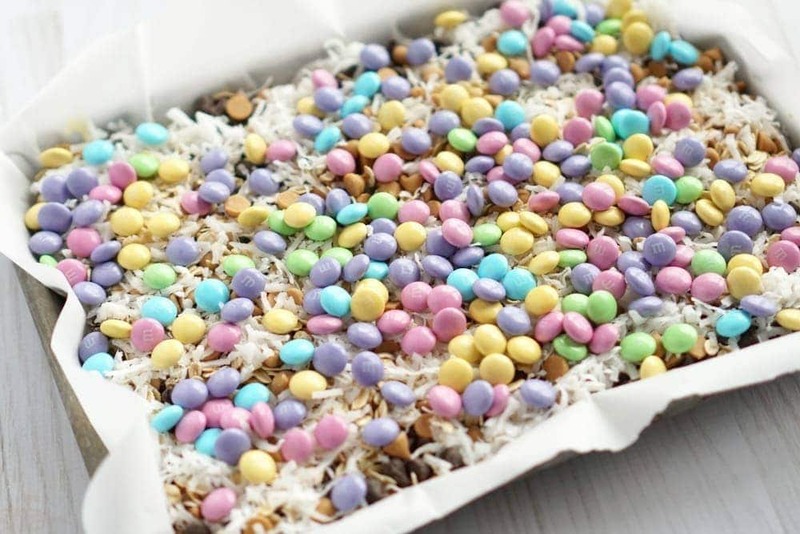 They are a special Easter-themed or Spring treat that saves you time. The hands-on time in this recipe is very minimal. You know what that means right? You have more time to dye those crazy Easter eggs! Don’t let the simplicity of the recipe prep fool you here. These are as tasty as if you had spent hours in the kitchen. These bars are sweet, gooey, and delicious. Oh sure, the kids love them because they are festive and colorful, but the taste is what keeps the adults coming back for more. 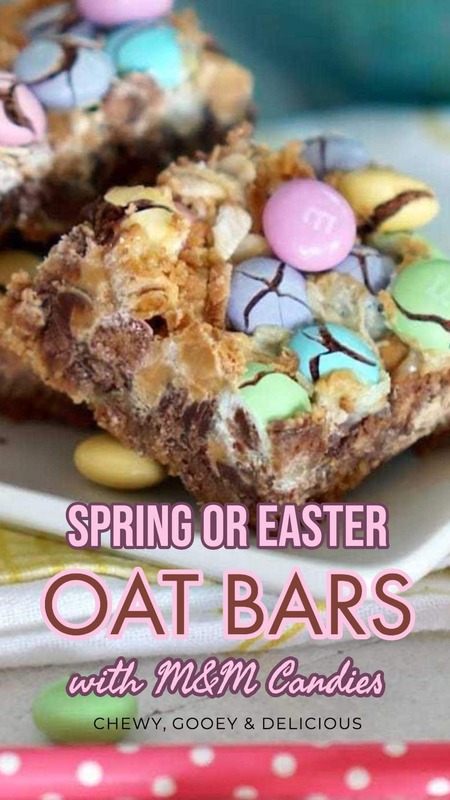 What do you need to make these M&M Oat Bars? See how simple that was? I love a recipe that doesn’t require anything extraordinary, but just regular ingredients. I guess you could count the Easter M&Ms as a special ingredient. If it bothers you horribly, you can use the regular ones. As a side note, what is it about the holiday M&Ms that feel so special? I especially love the pastel colors in the Easter bag. 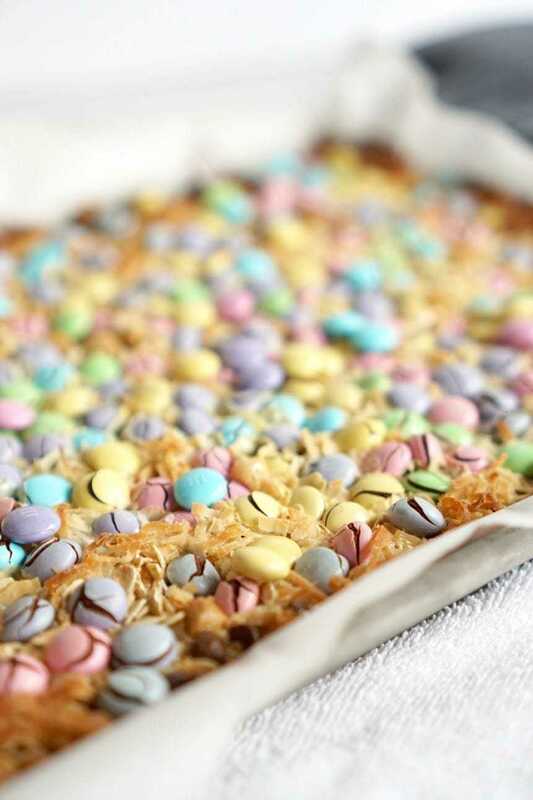 They add that special Easter pizazz to this recipe. Now that you’ve gathered your ingredients let’s move on to the directions. 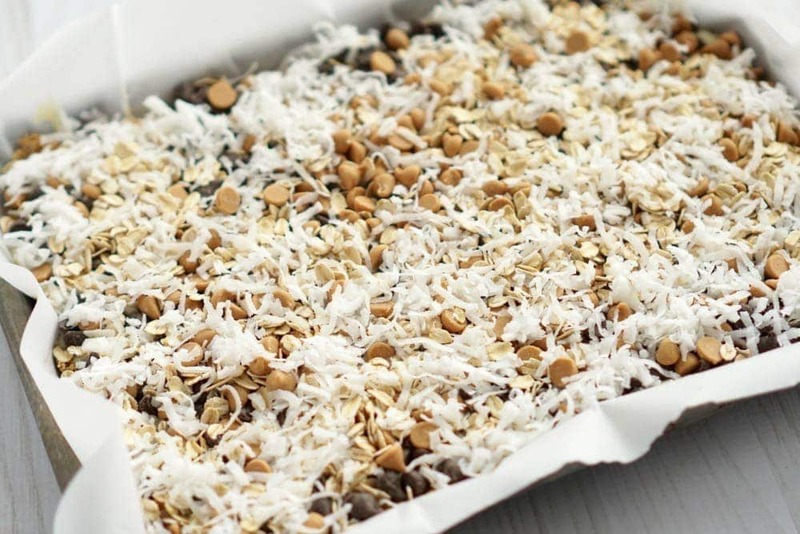 These quick Oat Bars couldn’t be simpler. First, you want to combine your melted butter and graham cracker crumbs until crumbly. This mixture will be your crust. 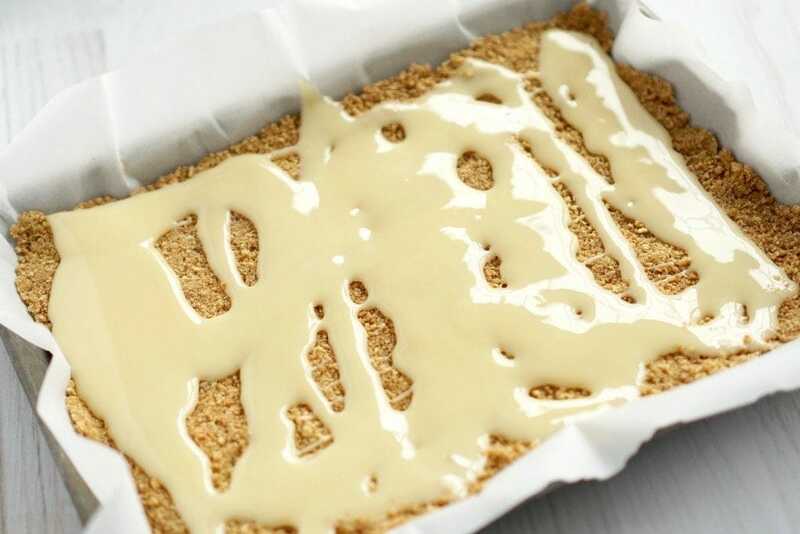 Finish this step by pressing the crumbs into the bottom of a 9X13 baking dish that has is lined with parchment paper. Once your crust is firmly pressed into the bottom of your pan pour on the sweetened condensed milk. Doesn’t that already look amazing? 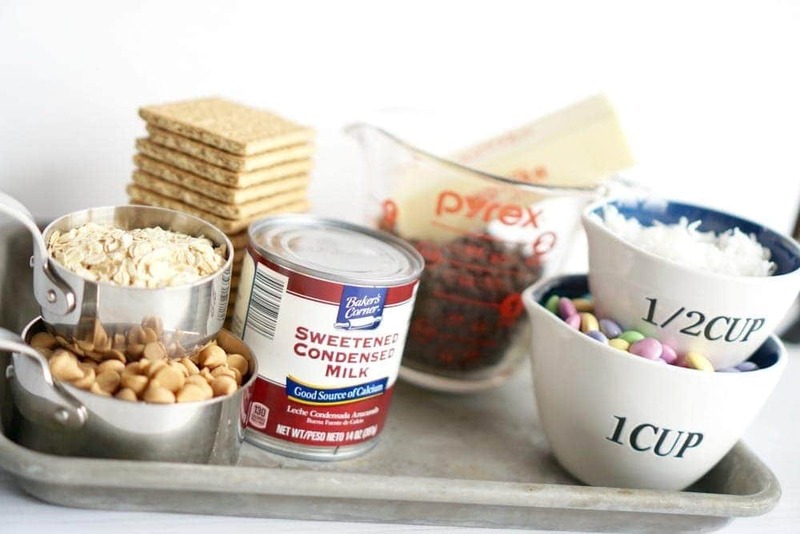 Once you have added the sweetened condensed milk, sprinkle on the oats, coconut, chocolate Chips, Peanut Butter Chips, and M&Ms. See how bright and colorful these are? They scream Easter. Now that you have everything assembled bake the bars at 350 degrees for 25-30 minutes. 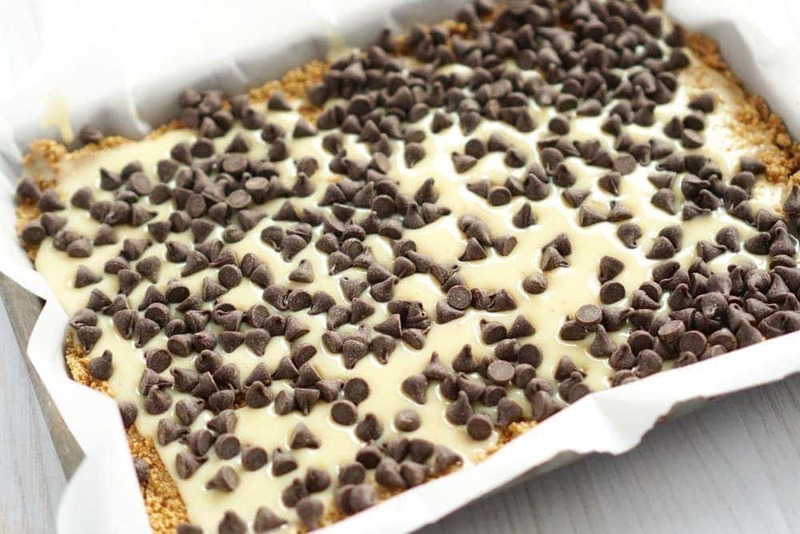 Let the cookie bars cool completely before slicing. 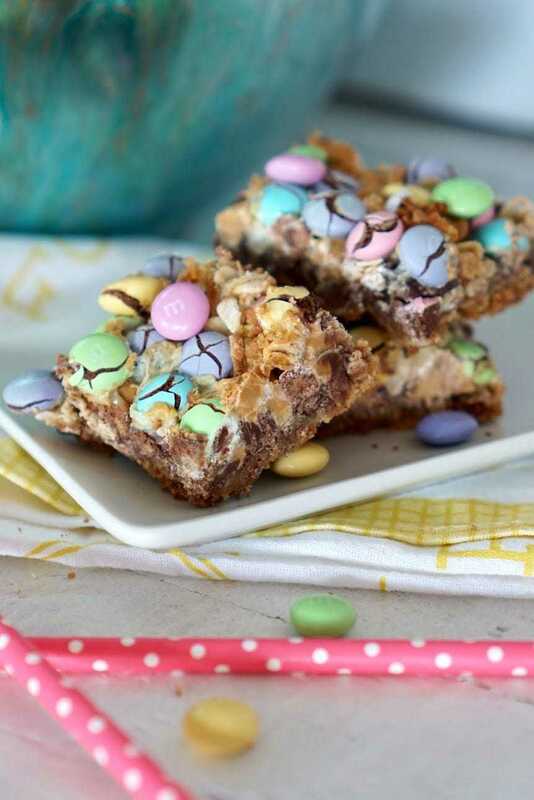 These treats would be great for all those Easter parties, or maybe even just a nice after school treat for the kids. Do you know what else is great? These fantastic bars don’t have to be just for Easter. You can change out the M&M color and make them for Christmas, Thanksgiving, or even as an everyday treat. 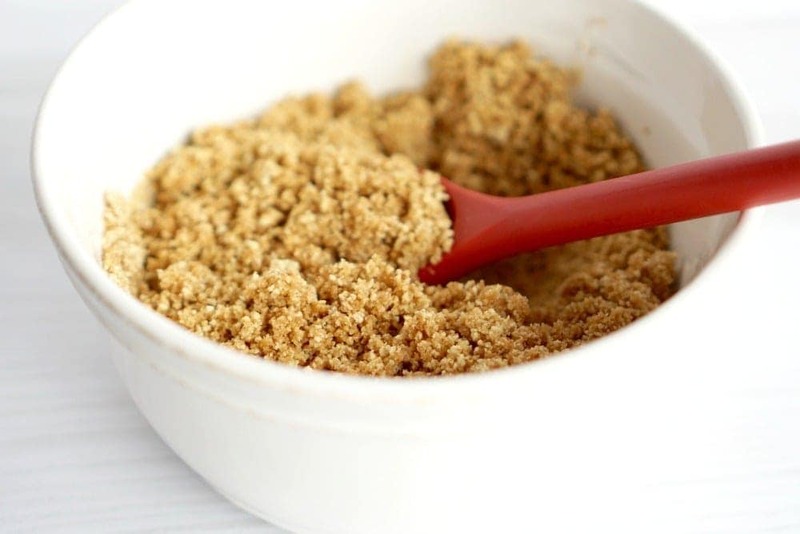 Combine Melted Butter and Graham Cracker Crumbs until Crumbly. 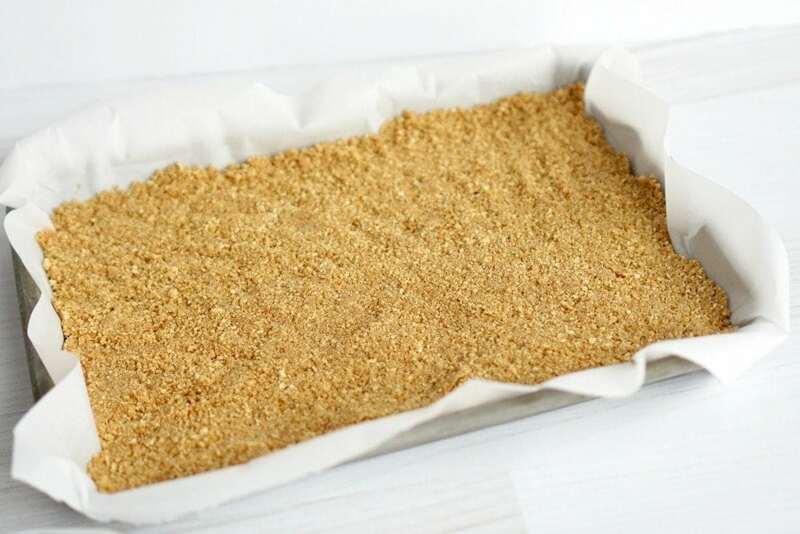 Press Cracker Crumbs into the bottom of a 9x13 Baking Dish that has been lined with Parchment Paper. Let the cookie bars cool completely.